A photo blog devoted to vanity plates and their obscure humor. And you thought your Mickey Mouse antenna ball would get the point across!? Wrong! 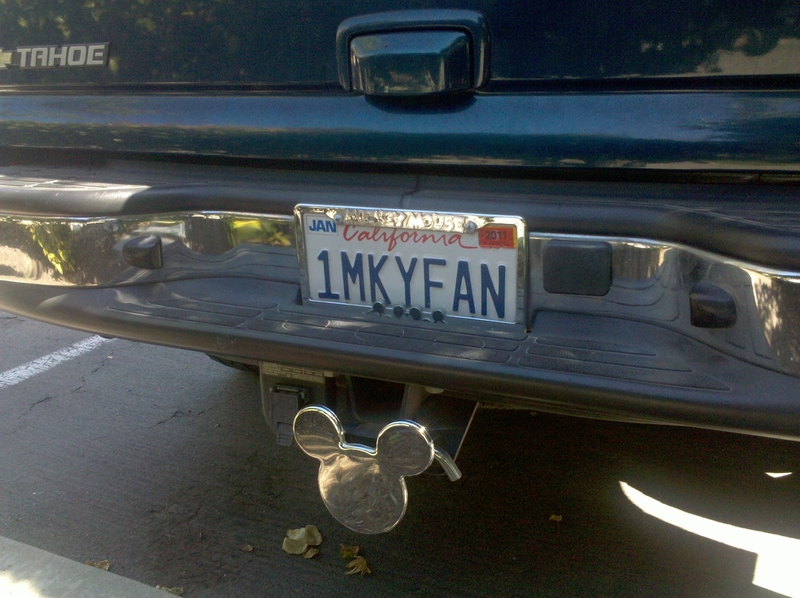 This guy not only personalized his plate, he got the trailer hitch cover shaped like Mickey’s head! ~ by ASSMAN on May 10, 2010. Don't know what a license plate means? Search for it on Urban Dictionary. Get a License Plate Frame! A custom license plate frame will accent your plate in style. A chrome license plate frame gives you bling while a logo license plate frame tells everyone who you stand by. Or you can just get a logo front license plate with your car manufacturer's logo on it.